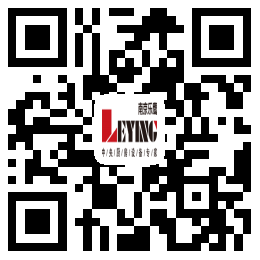 Nanjing Leying Professional Kitchen Equipment Co., Ltd(formerly: Ningbo Leying Commercial Kitchen Equipment Co., Ltd.) was founded in 1991. It mainly undertakes the project of central kitchen, and produces 'Leying' brand automatic rice cooking system, commercial dishwasher, heating conditioning pot, cleaning and disinfection equipment. The company is located in Jiangning Economic & Technological Development Zone, Nanjing, with a registered capital of 2.16 million US dollars and a plant area of more than 360 Mu. The newly built 50 Mu Central Kitchen Factory is expected to be completed in 2018, with more than 100 senior technical person. The company has successfully passed the GB/T19001-2000 idt ISO9001:2000 certification, and strictly operates in accordance with the procedures of the quality system. The company has more than 200 sets of production and processing equipment, such as international advanced numerical control shearing machine, numerical control bending machine, numerical control multi-position punch, automatic welding machine, laser welding machine, laser cutting machine and so on. With precise design, advanced technology, sophisticated equipment, high-quality materials and standardized management system, the company provides customers with the best quality products. Shanghai Baosteel Group, Foxconn Group, Ningbo Shenzhou, Nanjing Weizhou, OPPO, Xuzhou Tianqin, Xi'an Gudu and more than 280 group enterprise customers; Old Uncle Catering, Lihua Fast Food, Orangutans Convenience, Lawson, 7-11, Family Mart, Changchun Guanghui and more than 330 fast food enterprise customers; Jilin University, Nanjing University, Shanghai Jiao Tong University, Tianjin University of Technology, Nanjing University of Technology and more than 400 university customers; Nanjing Military Region, Shenyang Military Region and Xuzhou Military Region and more than 30 army logistics customers; Leying products are also exported to more than 20 countries and regions, such as Saudi Arabia, Iran, the United States, Japan, Taiwan, Hong Kong, etc.